I just sold my Trek 520 tonight to someone on Craigslist. It has been laying around the apartment sad and unused, a shade of a shade of its former glory. I remember when I first bought the bike in 2006. I had just left my job at a law firm. I was making the “big step” from a mouse pusher to a photographer, into the great unknown. 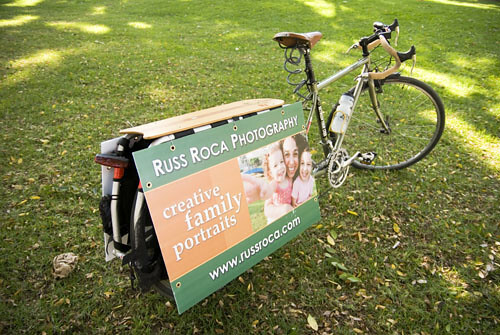 I needed a bike to carry all my photography gear. 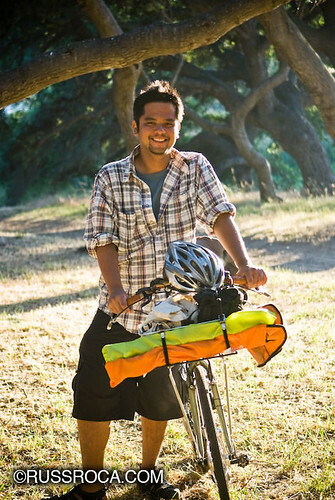 That’s when I bought an Xtracycle and my identity as Eco-Friendly Bicycling Photographer was born. At around the same time, I stumbled upon a book Miles From Nowhere on the dusty shelves of Acres of Books (a second hand bookstore in Long Beach that is no longer). It was about a husband and wife that traveled the world by bicycle and it lit my imagination on fire. I took the Trek 520 on my first proper bicycle tour in Oregon. 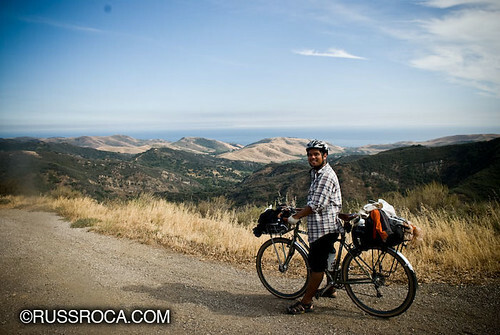 It was heavy and I overpacked it, but it began my love affair with bicycle touring and renewed my sense of adventure. Since then I’ve ridden it down the coast of California, up and over the Santa Ynez mountains and thousands of miles just commuting in town. Tonight, I say goodbye. It’s going to a good home. A PHD student at UCLA that is interested in touring. When I asked him how he had heard of touring, he said he saw a picture of a bike somewhere with all these bags and he was just amazed that people did that sort of thing. I remember that was my first reaction when I first saw a touring bike on a road trip (of the car variety) to Vancouver. I saw these cyclists with panniers and a BOB trailer struggling up a hill in the Redwoods area of California. I was struck with complete awe and I wished that one day I could do something like that. The bike now belongs to Luan. I hope it serves him well. I just sold my Trek 520 about two weeks ago. I kind of miss it, its always sad to sell a bike even if it hasn’t been used in a while. Agreed. I always remember the fun I had with the bike and crazy adventures. At least it looks like its going to a good home. I sold my Univega Superstrada about a month ago. I wanted to make it my primary commuter but it wasn’t comfortable. So it went to a student at UC Santa Cruz. I wish it all the best and hope it will get more use than it ever did from me. In the meantime, I continue to ride my Raliegh M-800 as my primary commuter. Still stock with a front shock and knobby tires. 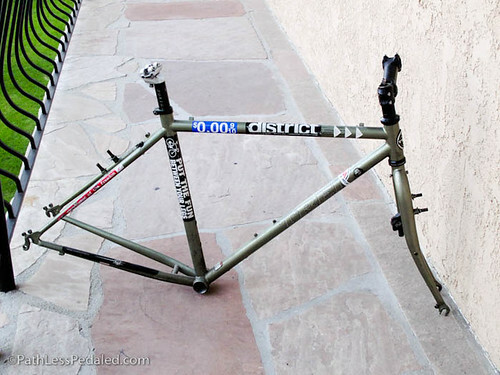 I still seek out another I can make into a proper commuter with racks and fender or into a Xtracycle. do you have a post about your decision to use a Surly for the trip over the Trek 520? if so can you direct me to the post? Just stumbled upon your blog and so looking forward to learning about your adventures. I’m tempted to see where your most recent post, but I’m resisting the urge and starting from the beginning. Thanks for opening your lives up to others. You did the right thing. I had a Bridgestone that I had ridden from OR to NC, and did numerous other bikepacking and touring trips on. The Bridgestone eventually got pushed out by newer frames. It was a commuter, then it just sat. I went a year with it sitting around when a friend made a comment “that it must be sad for me to see an old friend sitting around like that, unused”. I took her point and sold it. I don’t regret it. I still see it being ridden around town and in bike racks locally from time to time and it’s good that it’s out on the road instead of collecting dust. I sold my Trek 720 years ago. I saw it a couple of times on the Bob Galloway ride in Arthur, Illinois–again, years ago. I still look for it. I’d gladly trade my Trek 2300 for it. Great bike. Lousy fender clearance, but a great bike.